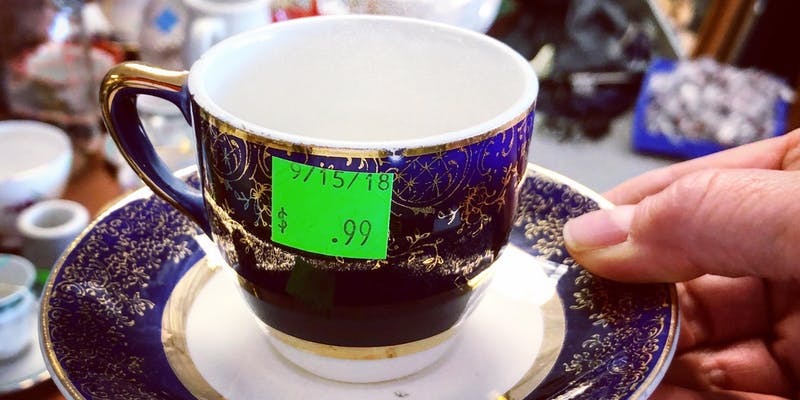 How can you upgrade a .99 teacup into something special? Just in time for the gift-giving season, we're holding two DIY teacup workshops at the Portland ReStore. RSVP required. Each workshop is limited to 15 participants. In this fun DIY workshop you will transform a teacup into a tiny succulent garden - perfect for gift-giving or simply resting on your window sill while you contemplate the meaning of life. All materials provided in this free workshop. Class size limited to 15 participants. After each workshop you'll go away with a sweet teacup gift, and we hope we'll illuminate and inspire you to re-imagine and re-invent the treasures you can find in a Habitat ReStore. NOTICE: These two workshops have been filled.